Psychological assessments (‘testing’, ‘evaluations’) often use a combination of methods to find out information about a person. Psychological assessments can be performed for many reasons. Although it is not necessary to undergo formal psychological assessment before beginning some therapies, others do rely on a comprehensive understanding of how past and present factors contribute to people’s problems before therapy can be started. Clinical psychologists commonly investigate people’s past experiences, often as far back as they can remember, in order to understand how they have affected the development of someone’s personality and how their personality affects the ways that they think, behave and feel on a daily basis. Clinical psychologists aim to reduce the distress and improve the psychological wellbeing of their clients. They use psychological methods and research to make positive changes to their clients’ lives and offer various forms of treatment. Clinical psychologists are trained to use evidence-based psychological methods of assessment and therapy. As such, they use therapeutic approaches that are often cited in the guidelines the National Institute of Health and Clinical Excellence (NICE) as recommended treatments. Most clinical psychologists have an accredited undergraduate degree in psychology and a three-year postgraduate Doctorate in Clinical Psychology (DClin Psy). Doctoral training comprises several intensive placements in different NHS specialities. This ensures a wide breadth of experience as well as more specialist training towards the end of the doctorate. Most are trained to work eclectically, that is, drawing on a range of different therapeutic models that balances evidence-based practice and patient choice. While the services of clinical psychologists are offered by many NHS Trusts, there is a recognised shortage. You should contact your GP first to find out if NHS clinical psychology services are available in your local area. Unfortunately, waiting lists can be long. Following such enquiries, some people decide to seek out a private clinical psychologist who may be able to see them sooner, offer different treatment approaches and/or more sessions that might be available on the NHS. 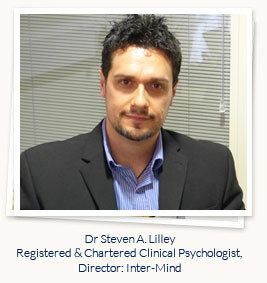 Therefore, a private clinical psychologist can offer more flexibility and sometimes more choice. You don’t need a GP referral to be seen in our service, although we often liaise with your GP (with your consent, unless risk issues dictate otherwise) to ensure your care is as co-ordinated as possible. While many people choose to fund private therapy themselves, some are able to arrange treatment through their healthcare insurance. We are recognised providers with a number of healthcare insurance providers. If we are currently not registered with your provider, we are able to arrange this soon after an initial enquiry.